We can develop for sale the enclosed KBC. The unit is as new and in Europe. Asking price is not set but we are looking for a guide price around £3 million for the complete package including spare parts etc. There is an agreement with Original builder (Huisman) to extend some warranties after installation. LOI required for further details. The barge and crane recently completed major overhaul and replacements. Owner seeking short or long term employment Available Louisiana port November 2018. Charterhire rates are based on specific charter details. Therefore no general rates can be given. If you receive an inquiry the following would be required to obtain rates. 1. Charterer’s full company name, address, person in charge and company background? 2. Charter to commence when? 4. Exact area of operations? 5. Exact scope of work? 6. Is a guarantee available (if required) to cover charterhire? Owner also has a fabrication / repair facility with direct U.S. Gulf access. Owner’s firm price USD 13.5 million. Available Louisiana port November 2018. 112′ x 52′ Crane Barge Bucyrus Erie MK-100 – Rated 110 Tons For Sale. This 100-tonne Floating Crane was built in 1954 in United States, the barge was re-built in 2016 (changed 100m steel plates) and crane and mooring winches have been assembled in 2016. 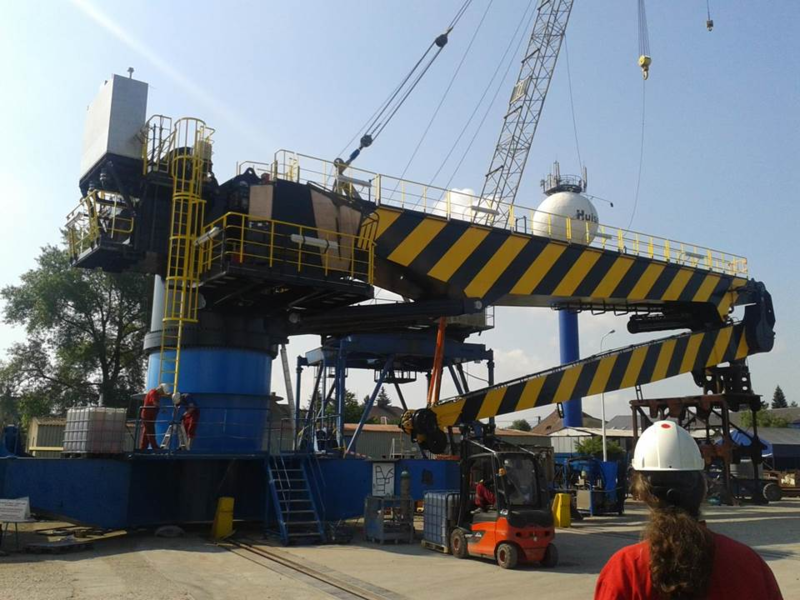 115′ x 52′ Crane Barge Lifting Capacity 143 Tons For Sale. 30′ x 12′ Self Propelled Crane Work Barge For Sale. Crane will handle 1,280 lbs. boomed fully out w / 16-feet past edge of the barge.